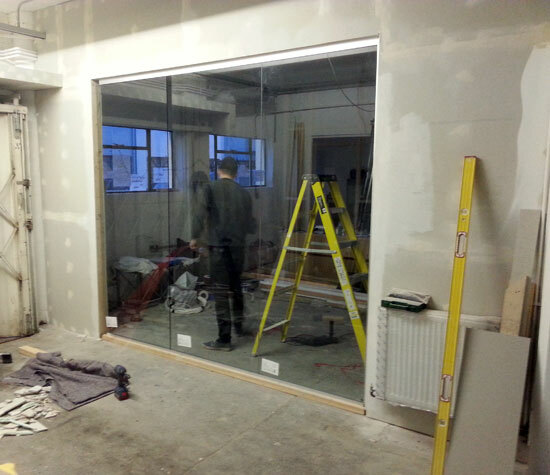 We’ve been working on the fitting out of a dance school in Minerva Works, Digbeth. It’s very conveniently right next to my workshop so has been a pleasure to work on. 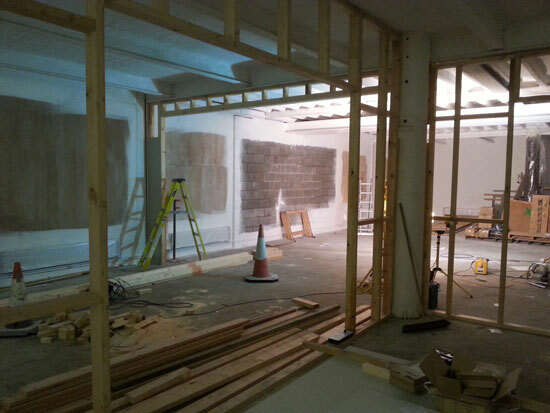 I’ve been insulating party walls for sound, builing stud partitions and installing lots of plate glass panels. 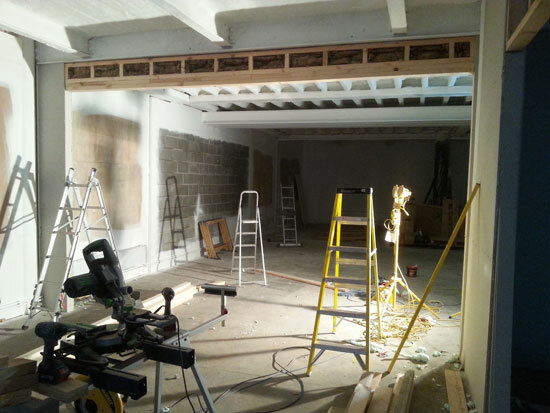 Just the entrance vestibule and services cupboards to go.